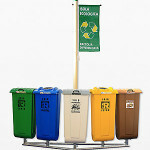 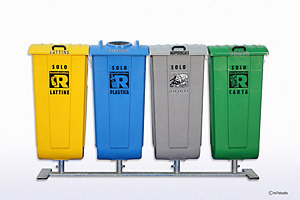 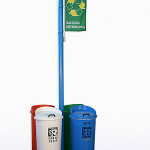 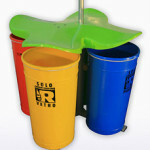 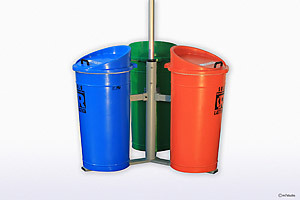 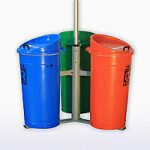 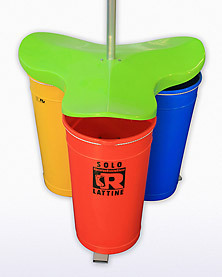 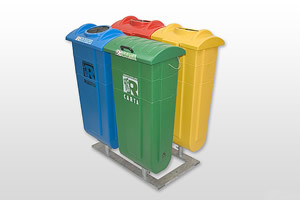 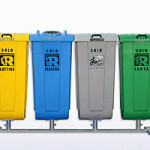 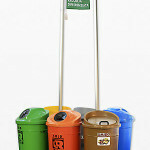 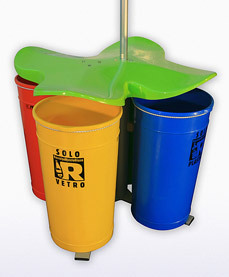 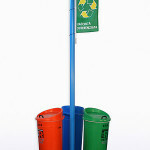 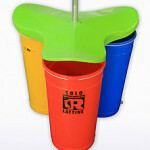 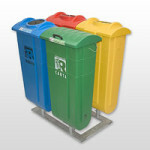 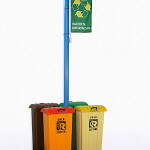 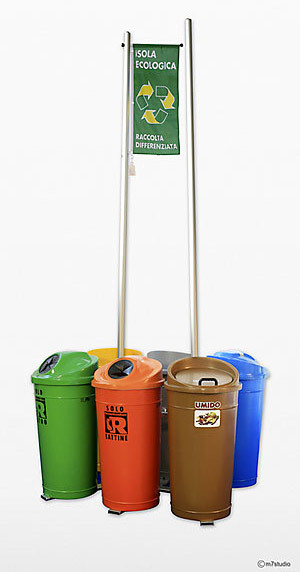 The Mini Ecological Islands, are the ideal solution for creating unmistakable landmarks structured to carry out the waste collection in urban, seaside resorts, public parks, resorts, campgrounds, schools and kindergartens, and in all those outside contexts but also in-door, where it is necessary to offer a separate waste collection. 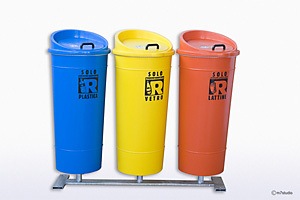 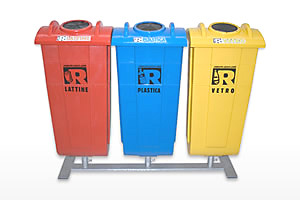 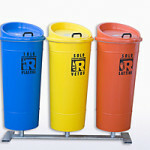 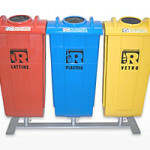 All containers components the structures, are manufactured using polyethylene materials highly resistant and made with rotational molding technique, machining method which represents a considerable strength and great guaranteeing resistance to impact, weathering, fading, to salt air and to vandalism. 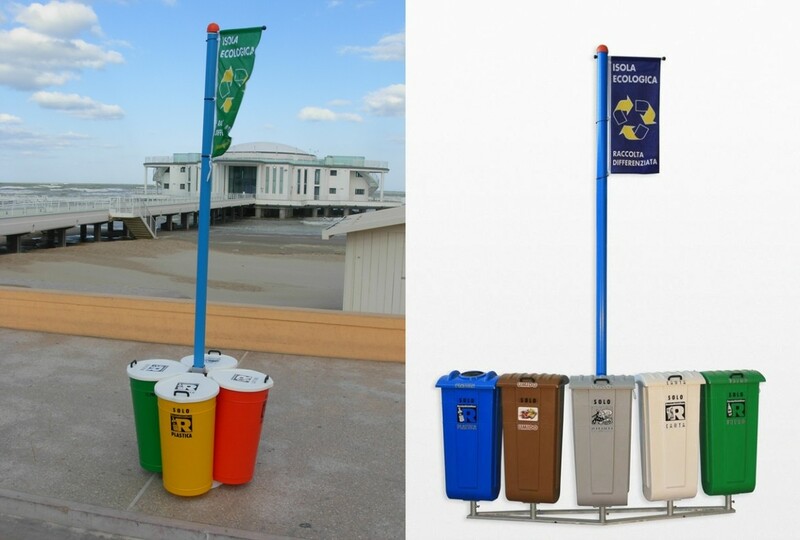 The Mini Ecological Islands identify themselves through innovative design, in order to help improve and reduce the “gray and anonymous” the appearance of the areas used for the collection of waste. 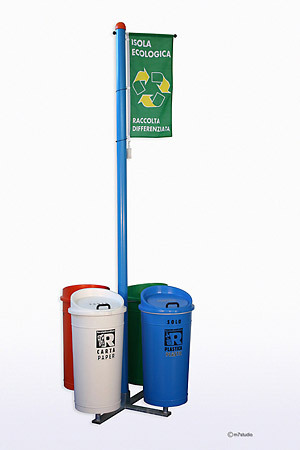 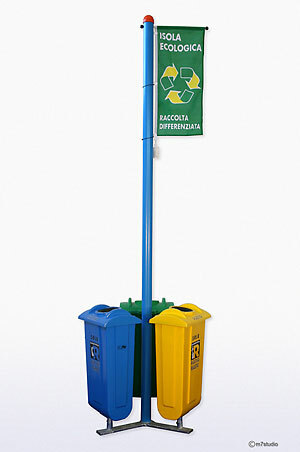 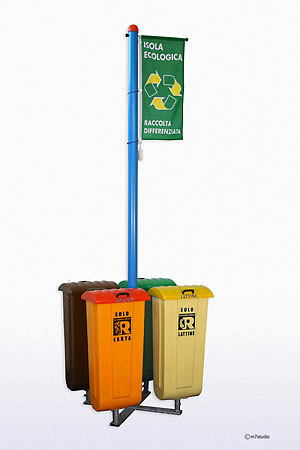 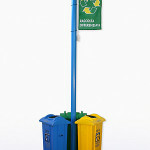 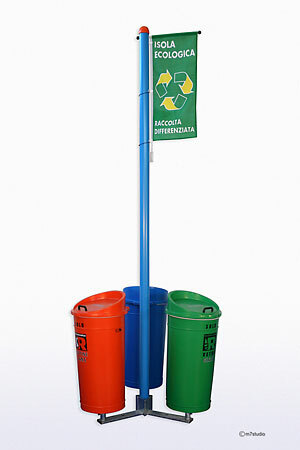 In order to ensure maximum functionality and efficiency in the entire chain of collection, the Mini Ecological Islands are designed and manufactured paying attention not only to what are the needs of the Public Administrations, companies that deal with collection and disposal waste on the territory and of private customers, but also listening to the suggestions of those who are the primary users of the collection service, the citizens users, in order to ensure maximum functionality and optimization of service to the whole chain of components of the re cycling exercise. 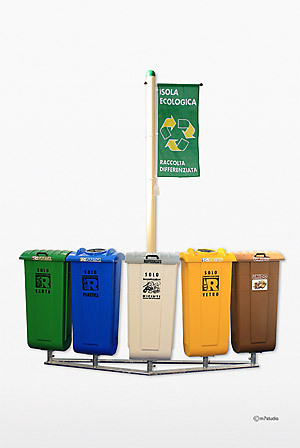 The Mini Ecological Islands are made in a wide range of colors, and can be customized with logo or the trademark of Publics Administrations, or with any mark requested by the customer.